The Nigeria Police has reacted to a report released online by the 2016 World Internal Security and Police Index (WISPI) and the International Police Science Association (IPSA), describing the force as the worst in the world. 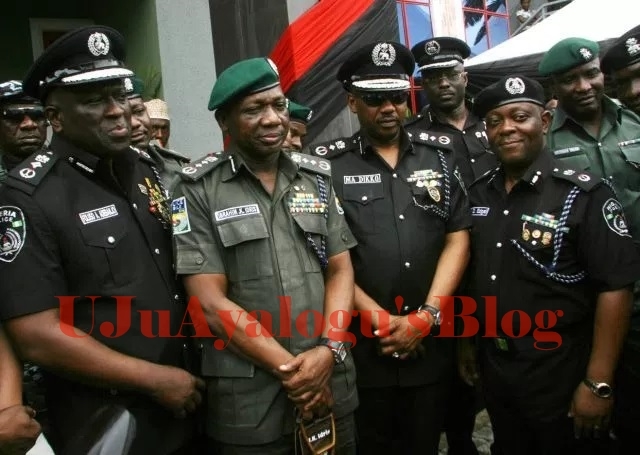 The Force Public Relations Officer, Jimoh Moshood, in a statement on Saturday, November 11, rejected the ranking saying Nigeria Police is the best in Africa and one of the best in the world. “Nigeria Police Force is the best in UN Peace Keeping Operations, Best in Africa, One of the Best in the World. The Force rejects the report as unempirical and absolute falsehood, should be disregarded and discountenanced”, said the police in a preface to their statement of objection to the report. The strength of about Three Hundred and Seventy Thousand (370,000) Police Personnel in the country stands at around One (1) Policeman to less than Six Hundred (600) people in population estimates of One Hundred and Eighty Millions (180,000,000) Nigerians. “Furthermore, in the UN Peace Keeping System, the Nigeria Police Force is rated as the best in UN Peacekeeping operations in the world. This clearly shows that the Nigeria Police Force is not and cannot be the worst in the world under any known scientific yardstick or measuring instrument. “For avoidance of doubt, since the inception of the present Police administration in July 2016, the Inspector General of Police, IGP Ibrahim K. Idris NPM, mni, he has introduced and implemented diverse internal reforms aimed at improving capacity building and efficient service delivery of the personnel of the Force, which is yielding positive results in the standardisation of the capability of the Nigeria Police Force to deal with violent crimes and terrorism throughout the country. The establishment and take-off of a world class Terrorism Investigation Bureau for the Force with state-of-the-art equipment and technical support from foreign partners has greatly improved the capacity of the Force to deal with threats posed to internal security in this regard.